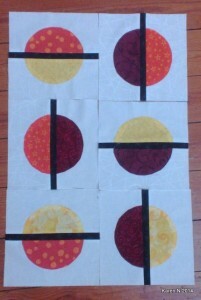 Here are my six blocks for February. I think I will be making more of these for myself! Did you know we now have SIX Karens participating in the block lotto–four of you have made blocks this year already. I THINK you’re the one in South Africa … it would help me a lot if you could set your display name to something besides your first name only (you can set up a nick name of your choice and use that) or include something in your message so I don’t have to look through all Karens’ accounts to figure it out. (And if I guessed the WRONG Karen, please let me know ASAP).